The Erika Bar Stool is a mid-back height-adjustable bar stool with a premium PU leather seat and chromed steel base. 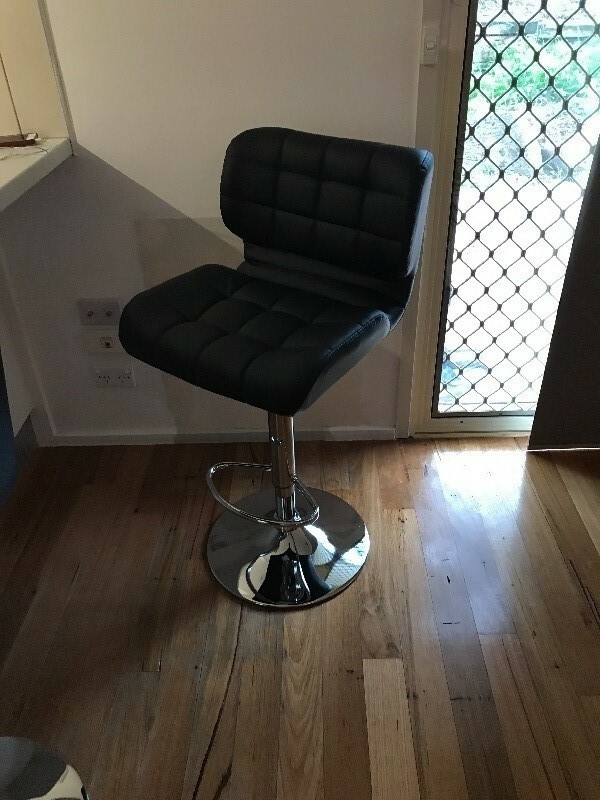 The stylish and functional design of this bar stool takes comfort to a whole new level, making it perfect for a casual and classy look. Its deluxe PU leather padded seat and the corrosion-resistant chrome base are easy to clean and provide a luxurious feel. Getting on and off this bar stool is smooth and easy with its gas lift mechanism, heavy-duty footrest, and 360° swivel seat. Thank you for the kind words, Vanessa! We’re so pleased to know that your online shopping experience went so smoothly. Cheers! We appreciate your positive feedback, Linda! Thank you for sharing. They're exactly what we hoped for, comfortable, great height and look perfect in our home. We work hard to meet expectations like yours, and we’re happy to hear that we didn’t disappoint you! Thanks for sharing, Michael. It is always our goal to make our customers happy and we are equally pleased to hear that we were able to provide great service that you deserve. Thanks for sharing, Robin! Overall very good and quick service. Very prompt delivery. Erika bar stools are very comfortable and very happy to use them daily. Thank you so much for such great review, Nooreen! We are glad that you are satisfied with the quality of the stools and your overall experience with us!